Winter is Coming, the eye-catching phrase that many will immediately associate with the highly acclaimed (need I say the name?) Game of Thrones Series. As Fall gives way to colder months, winter brings with it, in my opinion, the most distinguished piece of Apparel one can adorn, namely, The Tailored Overcoat. Winter is Coming, but not yet, which gives you plenty of time to start looking for your perfect winter tailored Overcoat. And what makes this season’s collection so exciting is that we have just launched our Ladies Overcoat Collection, in line with our tradition of Revolutionizing Fashion. This blog explores the option for our Men’s collection, and I will follow up the series with more on our Ladies’ collection next week. So Ladies and Gents, its time to get your Perfect Coat on! Fire Alarm! Hottest Designs at the Hottest Prices! What is the perfect Coat? 1. Perfect Size – Meaning Made-to-Measure. The Overcoat is anything but a simple outerwear, and fitting is perhaps the most important feature of a tailored overcoat. During the cold winter months, you are already adorned with layers of winter clothing. An oversized fit will not lend a flattering look, where else too slim and you won’t be able to move. Tailoring an overcoat to your size and style will compliment your silhouette, and lend the distinguished look I mentioned earlier, even when casually worn with semi-formal attires. Did you know our prices are all inclusive! Yes, that’s right we do not charge extra for Big & Tall, for contrasts, monograms or for personalised coats. “I received my custom designed topcoat last week just in time for a series of snow storms here in New England and I want you to know how happy I am with it. I couldn’t find a ‘full-length’ overcoat that was as long as I wanted at any store or on any website, so when I learned of iTailor.com I designed the coat I have been looking for. It is very well made and was constructed using exactly the measurements I gave. This fully customized coat was amazingly inexpensive” J.T. Belmont, USA. 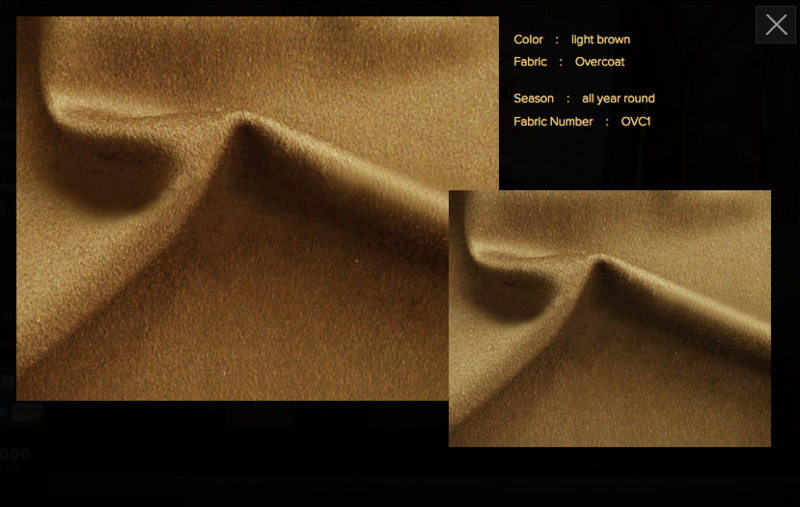 GET A CUSTOM-OVER COAT TODAY. GET $25 OFF. Write to us at contact@itailor.com, subject “Blog Coat Promo”. Offer Ends November 30, 2016. The main function of an Overcoat is warmth. As synesthetic products are more apparent in the fashion industry, the quality of coats, and suits in general have substantially decreased, whilst prices continue to rise. You are in fact, being tricked to paying for the Brand rather than substance. Our main mission as a Custom-Made brand is to ensure value-for-money, as well as added value features, for our customers. Our wool quality ensures that your coat will keep you warm, without being grotesquely thick as to be overbearingly uncomfortable. Over 10 Colors and Million Design Combinations to choose from! An overcoat is a long coat with sleeves that is worn on top of something else. The Overcoat carries with it a certain element of sophistication, that lends a charming look when adorned with more casual Jeans and Pullovers. But when garbed over a Tailored Suit, your Tailored Overcoat will be strikingly aristocratic. 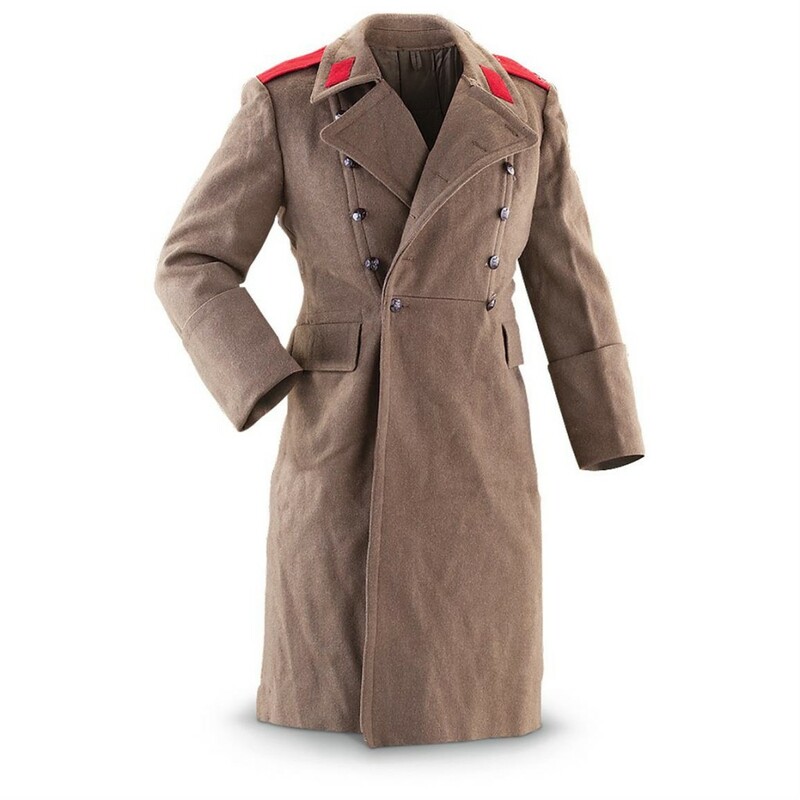 And this is not surprising as historically, overcoats have been worn exclusively for formal events to establish a social status or has been part of a professional or military uniform. Traditionally worn as a long double breasted coat, that extends itself way beyond the knee, Today’s coats are more stylish with single and double breasted choices being equally popular, as well as the shorter Pea Coats, and Duffel Coats. Traditional Tailors, such as ourselves, will still lean towards the more conservative style of Single and Double Breasted Long Coats for Men’s – after all, you do not need to tamper much with the Rolls Royce of Men’s Clothing. 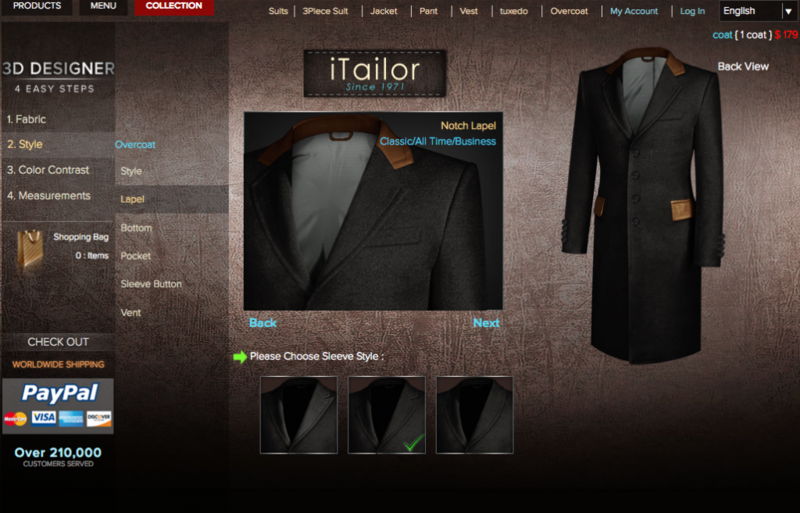 But conservative or not, you can design your tailored overcoat to over millions of designs on our website. Wool and Color – We offer 10 colors of the highest quality wool blend in colors that range from the more formal gray scale / black, to the highly unusual Green and Red. Now you can stand out in Style! You got it! Get in the festive mood, and deck the whole family or your friends in style. Got a Theme? You can customize and place your orders in Bulk. Write to us at contact@itailor.com to receive up to 30% discount on bulk orders and prioritised shipping!! 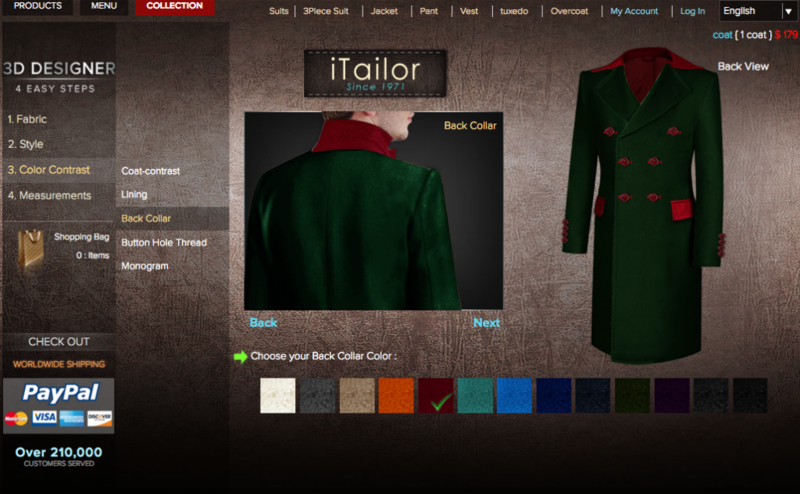 You are able to customize the style of your Jacket to millions of styles. Xmas Theme! Choose your own, design for your groups, friends! Make it truly Yours: We take pride in our craftsmanship, creating wonders of art with each item. The intricate lining details can be designed to 10 colors, and you can make your coat truly bespoke with a monogram especially made for you. Intricate lining details, and personalized monogram. All your choice! Customized Length: Personally, as an individual of shorter stature, I simply cannot buy off-the-rack. It is hard enough to dress in Suits, and Shirts, but when it comes to Overcoats, it is a nightmare to get the right length when shopping for one off shelf. If I do end up buying even the smallest one, I still need to fork a hefty sum to a local tailor for alteration. iTailor is my perfect custom solution. I can specify my desired length. 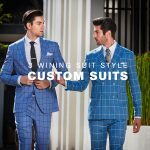 I know friends who are Big & Tall, who are our returning favorite customers In addition you can always contact our friendly customer service for advice or more information. Simply write to contact@itailor.com. We respond within 24 hours! For Women, we’re so excited to announce even more options on our brand new Ladies tailored Overcoat Collection with a brilliantly designed site that allows you to design and shop with ease. Your choice includes, pre-designed collections such as Pea Coats, Winter Long Coats, Trench Designs, all that be designed to millions of design combinations. And available in All Sizes – Tall, Petite, Custom. I will explore our new Ladies Coats and Suits in the Upcoming Blog. Stay Tuned!